As Pinterest approaches it’s four-year anniversary, it’s odd to think of the image-sharing social media platform as the new kid on the block, but in many ways, it is. The company is still making major changes to the platform so it can become more useful to businesses and internet marketers. Recently, Pinterest announced a new change that will make it easier for users to shop and make the platform more useful to internet marketers. This post will explain Pinterest’s new Gift feed and what business owners need to do to get their products listed. 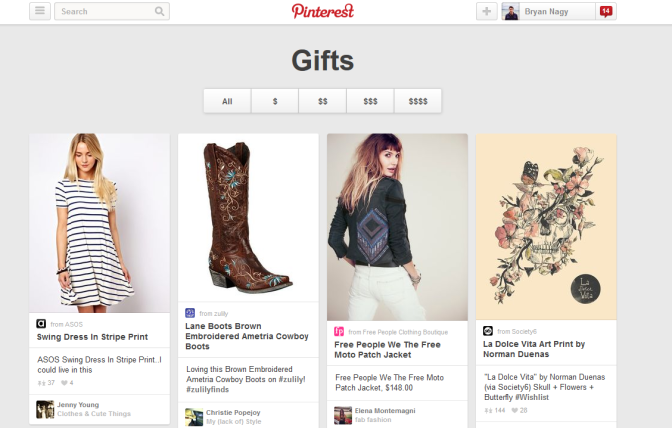 The new Gifts feed is an extension of Pinterest’s work on rich pins, which was discussed in a previous article. Product Pins feature additional information that make them more useful for pinners and more likely to stand out. Product Pins show extra details like pricing, availability and where to buy on the Pin and the information is automatically updated based on the website where the pin is linked to. One benefit of this plan is that it showcases the product pins which have already proven to be an effective tactic for the platform. 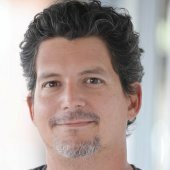 “So far, we’ve learned that Product Pins get higher click-through rates than regular Pins and make your brand more visible because of the logo on the Pin. Pinners also get email notifications when Product Pins they’ve saved drop in price,” the company stated in a post on their business blog. The Gifts Feed, which is still a “work in progress” according to Pinterest, also includes price filters so Pinterest users can search based on budget. There are four categories for budget ranging from ‘$’ for the gifts less than $50 and ‘$$$$’ for gifts more than $200. The pins that will be shown on the Gifts feed will be determined by interests of the pinners. Pinterest users will also be able to get notifications when products they like change in price or track price changes over time. Getting products listed on the gift feed is a simple but time consuming endeavor, initially. The basic idea is simple, that once a website has been setup with the proper markup for the product pages, Pins from that site will show the rich media data and be shown on the appropriate pages (e.g. Gifts feed, Recipes, etc.). However, the initial markup of the ecommerce site can be time-consuming because each product listing will need to have the elements like price, availability and such listed separately. As this is a relatively new feature of Pinterest, there are no plugins for WordPress or popular ecommerce channels to do the markup automatically. However, this will probably change with time. Despite the initial investment in time, marketers who are using Pinterest to promote specific products for sale should take the effort to get Products Pins in place so they can have their items listed in the Gifts feed. One of the challenges of Pinterest marketing is cutting through all of the noise. The Gifts feed plan gives users a clear and easy way to find what pins show items that can be bought instead of items that other pinners posted because they thought they were interesting. Remember, buyers who came from Pinterest are 10 percent more likely to complete the transaction compared to those coming in from any other social media site. And the average order value from a Pinterest shopper is around $100. Getting products listed on the Gift Feed can help business owners get in on the action.